You had a fantastic view from your room when you were in San Diego. I really like how you showed the daytime and sunset view. Your views in Vancouver are always wonderful. Happy weekend. Very good pics JMB, looks just as good if not better than the photos you see on travel brochures. Have a happy and safe weekend. It’s always a plus to have a great view from your hotel room. Lovely shots! Happy weekend. You have a nice view my friend and nice pretty. happy weekend. The sunset one is stunning! You really had a stunning view from you hotel in San Diego. I love all your views in Vancouver. 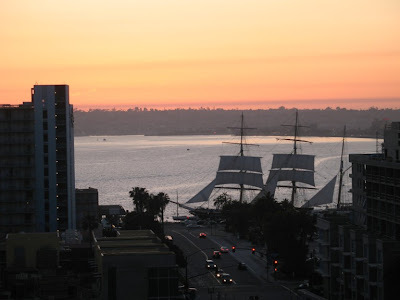 that’s a great view from your room in San Diego! I would love to visit vancouver one day! I have a fantastic view of Vancouver through your blog. I’m always discovering new places in Vancouver from your posts. Today you gave me a different view of another city. Just wow! Fantastic views….photography so well I feel like I’m right there! All three of these are great views! 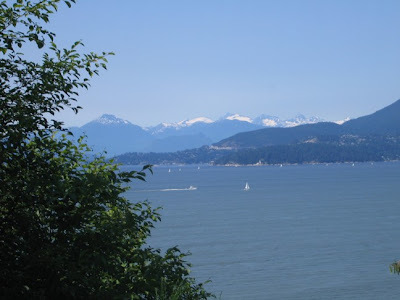 How funny JMB I mentioned room with a view on my post today as well….great photos…thanks for sharing….you make Vancouver such a wonderful city to visit…. So beautiful! I love that sunset photo – my favourite kind of picture – but your local view is perfect. I’m loving seeing everyone’s personal views. Looks like a lovely place to visit 🙂 Beautiful views! Happy photo hunting and have a great weekend! Thank you for stopping by! I love San Diago, what a beautiful view. I love the contrasting views. Nice shots. You’re lucky to have such a beautiful view! The sunset picture is choice. Those are all just incredible views! Do stop by when you get the chance! i love the two different shots…it is do interesting to see the same thing at different times of the day. Great work. great photos of San Diego — I live in Kitsilano so am very familiar with your 3rd view! 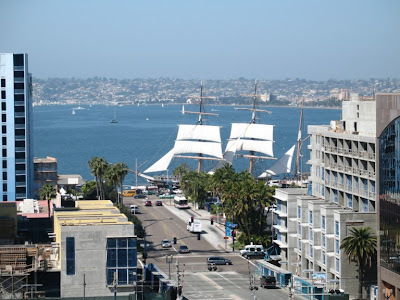 I used to drive down to San Diego each year and it was a lovely place, especially down by the harbour. These pics bring it all back. Great view in San Diego and just amazing view where you are. All those are so spectacular they make me want to visit! Lovely view from your room. I love how dramatic it looks at night. ‘Ruthless’ as I know that I am allowed to be here 🙂 I say: The second and the third are much more impressive than the first one. Hope the ex-grass widow and the old scientist are enjoying a splendid weekend. All 3 views are lovely.